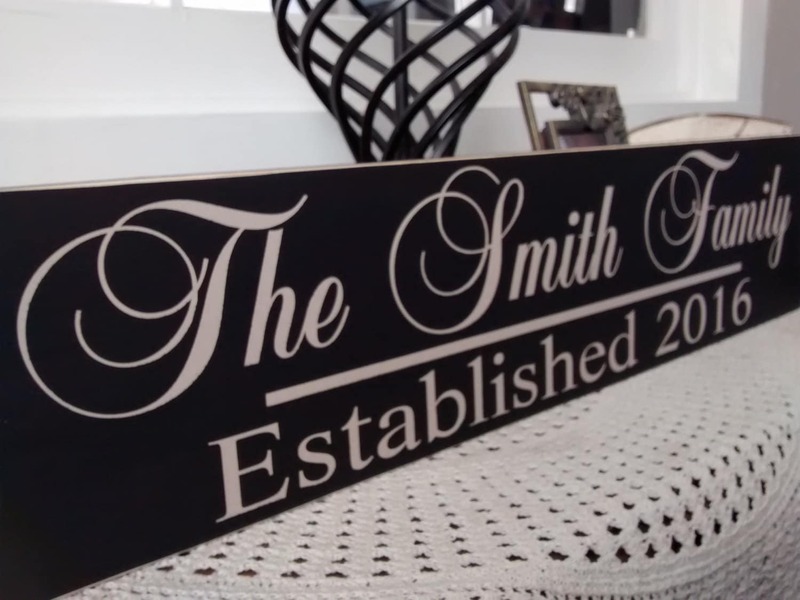 Our Established Sign makes a Personalized Family Name name gift for any occasion it's a unique gift and perfect for a wedding or anniversary. 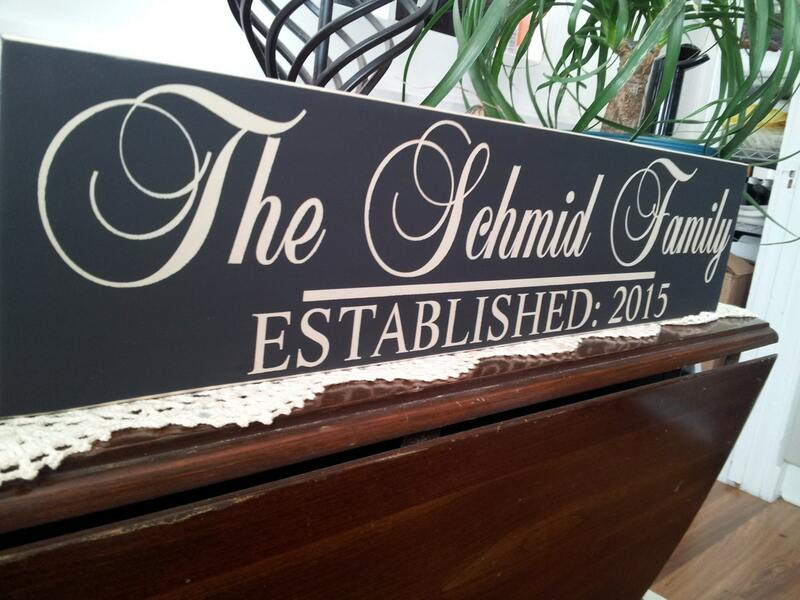 size approximately 24" x 5.5"
The item I ordered was a Christmas present for my best friend and her family. I can’t wait to give it to her. The item is awesome! The seller originally sent an item with the wrong Established year but I contacted her and she was quick to fix it and sent a new one. Amazing customer service! Will definitely buy again! Great job on my sign. Absolutely love it. Pleasure doing business with you. 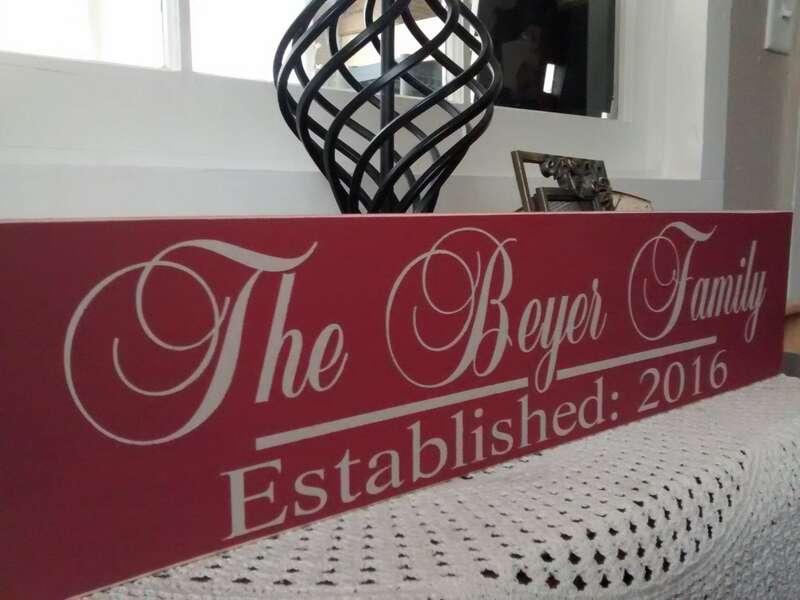 Thanks so much for this unique & beautifully done sign for our home! 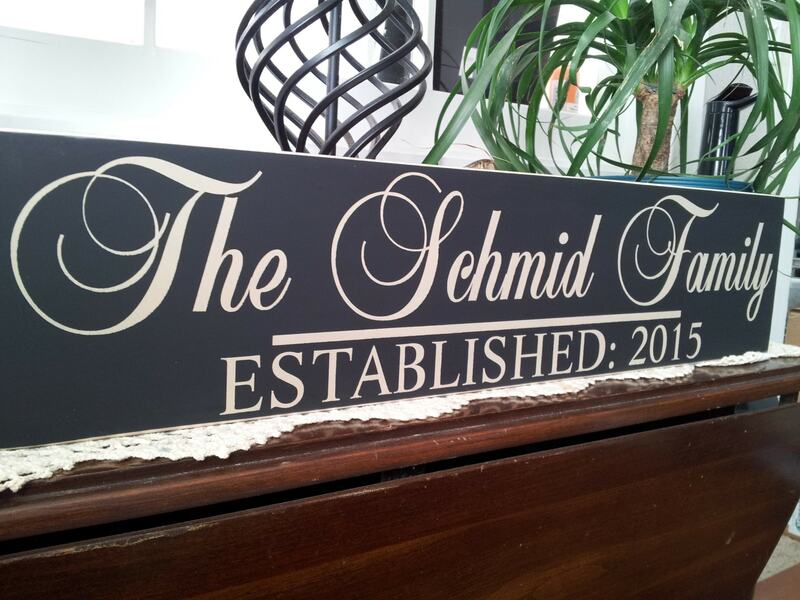 Thank you for changing the font for me-it is perfect & will look so special in our new home. 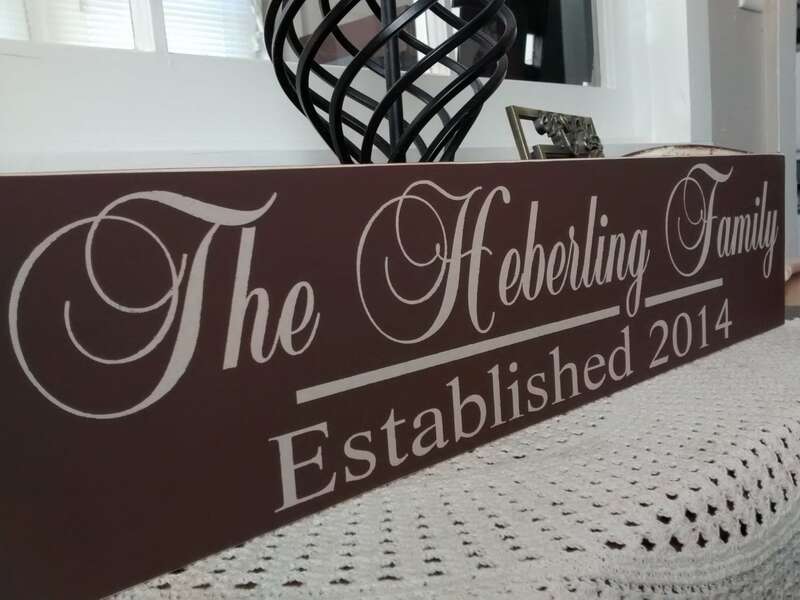 Your sign is a great quality product and a great value. I love it!